Kyrgyzstan is a small, mountainous country with a predominantly agricultural economy. Two mountain ranges, the Tian Shan range in the northeast and the Pamir-Alai range in the southwest, dominate the terrain. More than 94 percent of the territory is mountains, and more than 40 percent of the population lives at altitudes of more than 1 000 m above sea level. Since declaring independence from the former Soviet Union in 1991, Kyrgyzstan has undergone drastic political, social and economic changes. As a result of radical reforms, the previous State-managed economy has been destroyed; a new market economy had to be developed. Some parts of the country were in serious economic difficulty, particularly the communities in high mountainous areas, where the abolition of State farms had left people with no income at all. As a result, inhabitants of high mountainous areas were on the verge of extreme poverty. 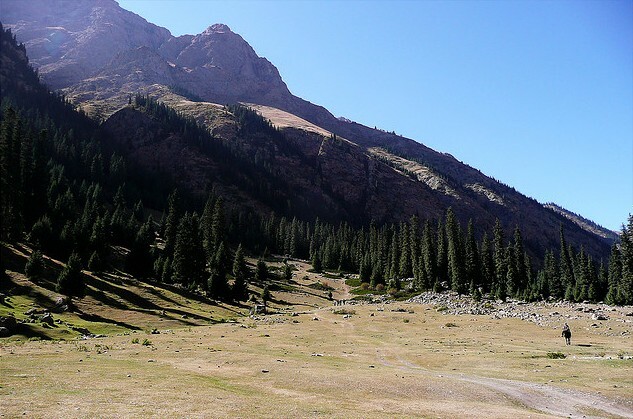 The Government of Kyrgyzstan had undertaken several initiatives to enhance economic development, social welfare and ecological sustainability in mountain regions. It proposed that the United Nations General Assembly devote a United Nations International Year to mountain areas, and it hosted the Bishkek Global Mountain Summit from 19 October to 1 November 2002. Also in 2002, the Government of Kyrgyzstan approved the National Strategy and Action Plan on Sustainable Development in Mountain Areas. This document mentions the need to develop a programme to promote the production and marketing of both primary and processed products so as to integrate the mountain farming population more effectively into the national economic system. However around this period, the government lacks the expertise and knowledge to implement such a programme. It therefore sought FAO’s assistance in building institutional capacity (at the national, district and local levels) for developing viable income-generating small-scale enterprises for poor inhabitants of mountain areas. This TCP responded to that request through a training programme based on FAO’s market analysis and development (MA&D) approach, an innovative participatory process for the development of small-scale enterprises based on natural resources. developing a long-term investment programme that expands successful pilot projects to other areas of the country. The project started in April 2005 and ended in September 2007.